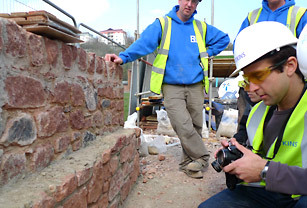 Coastal defence structures are built to reduce the risks of flooding and erosion to people, homes and businesses, as well as low-lying coastal habitats. 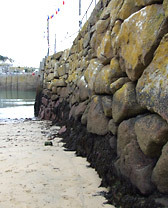 These structures include seawalls, breakwaters, rock armour and jetties. Port and harbour facilities also provide the hard infrastructure to support valuable economies such as fishing, leisure, and tourism. These uses of the coast are critical, but can create significant pressures on the environment and coastal ecology. 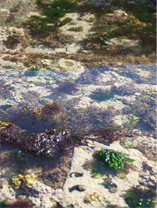 This website provides information on research that has or is currently being done, in Cornwall and Devon in the United Kingdom, to help understand how coastal biology responds to artificial hard structures built in the intertidal zone and what steps can be taken to help maximise the ecological value of these structures where they have to built. It also links to similar projects around the globe.